12X Mini Dollhouse Miniature Scene Model Doll House Accessories And Fork. Great gift & collection for dc comic fans & children. Hot kids gift toy. never be played with.from No Smoking Room. DO NOT DUPLICATE OR COPY! Made from high quality PVC material. background.gif" bgcolor="#FFFFFF" valign="top">. I've SOLD REPLACEMENT LITHOS on EBAY since MAY 2008 WITHOUT INCREASING my LISTING. My REPLACEMENT LITHOS are PRINTED on a HIGH END COMMERCIAL PRINTER . The REPLACEMENT LITHOS have a SHEEN which is SIMILAR to the ORIGINAL LITHOS . 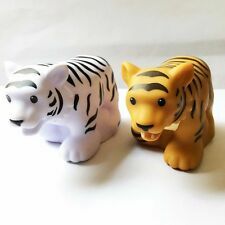 Little People Fisher-Price Zoo Animal. White Tiger Brown Tiger. hot kids gift toy. never be played with.from No Smoking Room. Made from high quality PVC material. I believe any problem can be settled with our good communication. Fisher-Price little people. Used, it is normal item may have a little paint off or color stain. I believe any problem can be settled with our good communication. 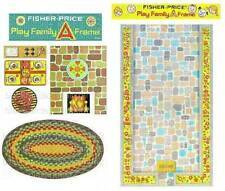 C omplete set of 9replacement lithosfor fisher-pricelittle people#990 a-frame house. This is a COMPLETE SET of 9 REPLACEMENT LITHOS for the #990 A-FRAME HOUSE . The A-FRAME was manufactured by FISHER - PRICE from 1972 - 1976 . This is a COMPLETE 4 PAGE SET of REPLACEMENT LITHOS for the EXTERIOR of the HOUSE REPLACEMENT LITHOS for the ACCESSORIES . The REPLACEMENT LITHOS have a SHEEN which is SIMILAR to the ORIGINAL LITHOS . This GARAGE set was manufactured by FISHER-PRICE from 1970 - 1980 . The LITHOS on the LEFT are MY CURRENT REPLACEMENT LITHOS . Fisher-Price little people. I believe any problem can be settled with our good communication. Made from high quality PVC material. The CAR & POP - UP CAMPER set was manufactured by FISHER-PRICE from 1980 - 1984 . I've SOLD REPLACEMENT LITHOS on EBAY since MAY 2008 WITHOUT INCREASING my LISTING PRICES . This MOAT REPLACEMENT LITHO is for the #993 CASTLE . The MOAT LITHO measures approximately 10½" x 4" . 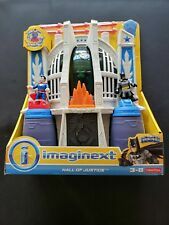 GREAT WAY to REPLACE the OFTEN WORN MOAT LITHO on your FISHER - PRICE CASTLE SET !! This GARAGE set was manufactured by FISHER-PRICE from 1970 - 1980 . Fisher-Price little people. Used, it is normal item may have a little paint off or color stain. Made from high quality PVC material. I've SOLD REPLACEMENT LITHOS on EBAY since MAY 2008 WITHOUT INCREASING my LISTING PRICES . The C AGE CAR for the 4 CAR CIRCUS TRAIN had LION LITHOS on theSIDES & NO CLOWN LITHOS on the ENDS in this 1st YEAR VARIATION ONLY . Hot kids gift toy. never be played with.from No Smoking Room. Fisher-Price Little People. DO NOT DUPLICATE OR COPY! Made from high quality PVC material. 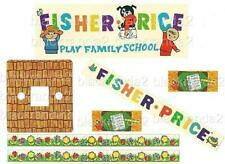 C o mplete set of 15 replacement lithos for fisher- price little people #996 airport. I'veSOLD REPLACEMENT LITHOS on EBAY since MAY 2008 WITHOUT INCREASING my LISTING PRICES . I believe any problem can be settled with our good communication. Material: Made from high quality PVC materials. Sesame Street Doctor/Medical Kit - Stethoscope, Bandages, Syringe, etc. The REPLACEMENT LITHOS have a SHEEN which is SIMILAR to the ORIGINAL LITHOS . Great gift & collection for dc comic fans & children. 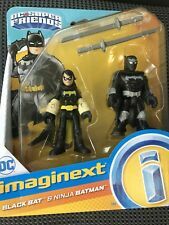 Great gift & collection for DC COMICS Fans and children ! You may also like. 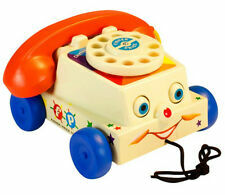 Fisher-Price offers a number of preschool toys for children between the ages of 18 months and 5 years. Children can have fun while developing fine motor skills, hand-eye coordination, and imagination. 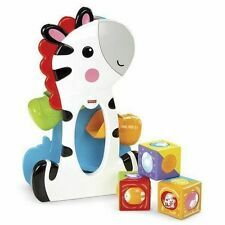 Fisher-Price toys for babies and children up to 5 years old include arts and crafts, figurines and education and training toys. What types of preschool toys are available from Fisher-Price? 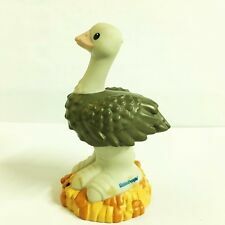 Action Figures and statues: This includes animal figurine sets like Little People Farm Animals and Little People Disney Friends. 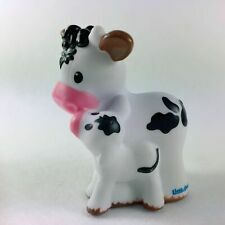 The figurines can also go along with the Animal Friends Farm. Arts and crafts: These toys generally consist of tools that help children express their creativity. Arts and crafts toys include drawing and illustration boards like Doodle Pro, Doodle Drawing, and Doddle Pro Slim. Learning and education: The Fisher-Price Laugh and Learn series has a variety of toys like the Laugh and Learn Smart Puppy, Laugh and Learn Around the Town Learning Table, and Laugh and Learn Storylines Book. These toys help children learn colours, writing, and language. Dolls and accessories: These toys encourage preschoolers to learn with role-playing and develop nurturing skills. Toys include Brilliant Basic's Baby Doll, My First Silly, Sweet Doll, and Princess Chime African-American Doll. What toys are available in Fisher-Price's Little People series? The Fisher-Price Little People series consists of several lines of toys, each based on a theme. Some examples of Little People lines are the House, Town, and Car line, the Disney line, and the Holiday line. House, Town, and Car: Camping sets, treehouses, dollhouses, and associated furniture sets, school buses, and a marketplace are examples of toys found in this set. Disney: Examples of toys from this Little People line are Princess kits, a Magical Day at Disney, and figurines of Tigger and Winnie The Pooh. Holiday: Holiday toys are available seasonally. Children can celebrate the holiday season with Fisher-Price toys featuring Christmas trains and other toys and Thanksgiving figurines. 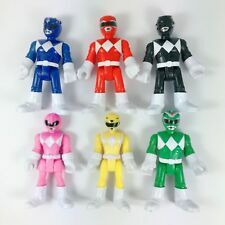 What character groups are available in Fisher-Price preschooler toys? 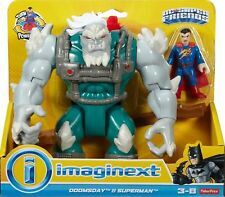 DC Universe: Fisher-Price carries toys of the well-known heroes of DC comics and movies, from Batman and Wonder Woman to the Green Lantern. If your toddler wants to play with the villain figurines, Fisher-Price options may be The Joker, Harley Quinn, and Lex Luthor. SpongeBob Squarepants:SpongeBob Squarepants Fisher-Price toys consist of action figures, full playsets, and talking minifigurines featuring the well-known characters from this TV show. 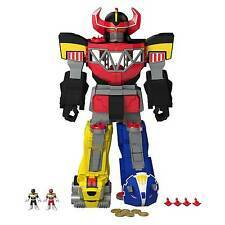 Power Rangers:Toys from this character family are comprised of action figures, discs, and putty packs. These items may contain some small parts, and are recommended for children ages 3 and up.Content provided for informational purposes only. eBay is not affiliated with or endorsed by Fisher-Price.